A refreshing American Blonde Ale, perfect for the beach. Our flagship Amber Ale with caramel and toffee malt notes. Our Flagship IPA. A traditional take on an east coast style IPA. A very drinkable brown porter. Don’t be afraid of the dark. A straw-colored German style ale, similar to an Oktoberfest. 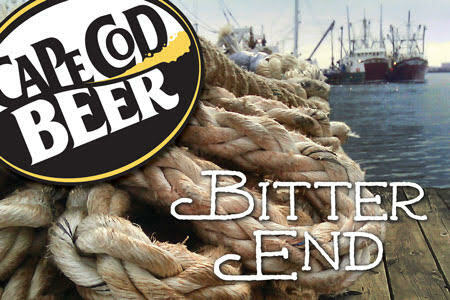 Featuring oysters from every town on Cape Cod! Brewed in the tradition of the Imperial IPAs of the West Coast. A Bohemian Pilsner, available just in time for baseball season. An English Strong Ale to warm you on cold cape winter nights. Whiskey barrel aged Oatmeal Stout infused with Irish Cream coffee! A Bavarian Hefe-Weizen with flavors of clove and banana. Our Blonde aged on Pablano, Serrano, and Jalapeno Peppers. You can book your own private party at the brewery! It's a weekly artisan market here at the brewery! Make & Take Book Craft! Fun Book Club Outing! A nature-inspired lecture series with Mass Audubon! Get ready for the season with pizza and the Harbor Hawks! Our Cask Series Produces a New Real Ale Offering Monthly! Pre-registered for Race to the Pint? Want to do same weekend registration? Cape Cod Beer will be there pouring our fresh local beers.. and beer margaritas in celebration of the upcoming Cinco de Mayo! Homebrew club for beer lovers! New Members Welcome!